By Charles L. Karr, Ph.D. 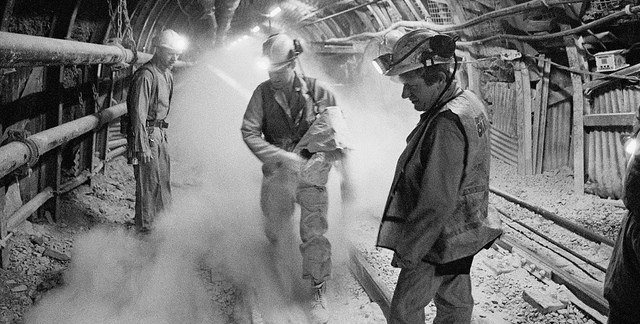 I cut my teeth in the mining industry early in my career as a research engineer with the United States Bureau of Mines, and I have seen the strength and determination of the people who labor to bring us the raw materials that make so much of our life possible. Alabama was modernized because of coal, taking us from an agricultural society into one driven by industry and technology. The energy industry in this state relied on coal to power our world, but that is rapidly changing. Still, as the market, government regulations and concerns over greenhouse gasses continue to stress the coal industry, it is important to remember coal remains a vital part of Alabama’s energy portfolio. Coal has been mined in Alabama for more than 150 years, and the state ranks 14th in total coal production among the United States, according to an economic impact study commissioned by the Energy Institute of Alabama. Historically, coal has fueled the largest share of electric power generation in the state. About a third of the coal mined in Alabama stays in the U.S., and about half of that is delivered to electric power plants in the state, according to the report. The Alabama Power Company reported in 2015 that coal made up about half of its fuel mix, and about 15 percent of that comes from coal mines in the state. Alabama Power still operates 10 coal-fired generating units. Those numbers are down, of course, as low prices for natural gas and regulations have seen Alabama Power transition. In the late 1990s, nearly 80 percent of electricity generated by the company came from coal, and there were 23 coal-fired units. Natural gas has provided a larger share of electricity in the state, exceeding coal-fired generation in 2012, 2014 and 2015. Employment in the coal industry is down, too, but the Alabama Coal Association reports 4,000 people directly employed in the industry. This significant workforce in our state is buoyed by exports. According to the U.S. Energy Department, in 2014, two thirds of the coal produced in Alabama was exported. Mobile is the nation's third-largest seaport for exporting United States coal, most of which is bound for Europe, South America and Central America. In 2015, Mobile also was second only to Tampa, Fla., in coal imports, according to EIA report. It does not take much to read the tea leaves to understand challenges remain for coal as an energy source in the country. Besides market forces, there is concern over emissions, and that is something academia and industry are trying to resolve. In fact, researchers here at The University of Alabama College of Engineering are working with different solvents to more effectively scrub emissions from coal-fired power plants, and we have worked with the Southern Company and others to lead the way on carbon capture technologies. Our researchers along with many across the state at other universities and private research labs are working to improve a host of other energy technologies to help diversify energy production here and around the world. Even with engineers and scientists moving forward, hurdles to more widespread reliance on renewable energy remain. Coal reserves are vast, and the industry is an important economic driver. Policymakers and cultural influencers must remember that coal is an engrained part of our energy mix. Charles L. Karr is Dean of The University of Alabama College of Engineering and a Senior Policy Advisor for the nonprofit Energy Institute of Alabama. Visit energyinstituteal.org/impact to see the complete economic impact study commissioned by the EIA.